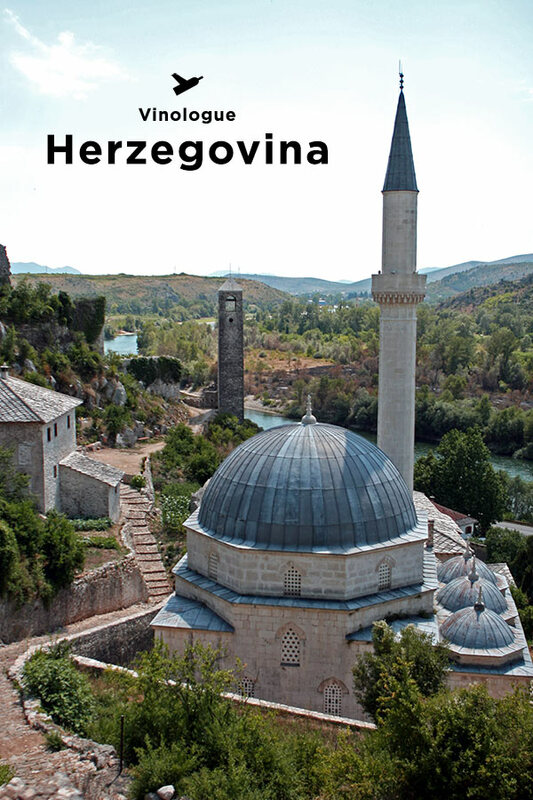 The history of this southern-most part of Bosnia Herzegovina is storied and complex. It has weathered many an invading army, as well as many a government. Croatian pride runs rampant through the region and you’ll see more Croatian flags than Bosnia Herzegovina ones wherever you go. This confusing, split personality of the land ironically doesn’t come in to the wine, except for the fact that almost all, if not all of the winemakers are people with Croatian origins. Wine production is mostly centered on two main hubs: Čitluk and Međugorje. These are both so deep in the south and near the border of Croatia that if you take a wrong turn, you’ll end up in Dalmatia. The main grapes of Blatina and Žilavka grow abundantly along these rolling, inland hills and valleys and provide a great variety of delicious tastes. Let our Herzegovina guide take you in to the interior and explore these wines.